I Am Second | Real Stories. Changing Lives. I’ve been watching the I Am Second videos online for a couple years now. The storytelling through film is well done and the videos are usually very moving. I love that I Am Second is becoming a kind of movement where people use their life story to say that God is First…I Am Second. I read the new book released by I Am Second. It is essentially a collection that recaps the stories told in the videos. Each chapter focuses on one persons story and typically goes into a little more depth than that persons video did. For me it was kind of a let down. I’ve watched quite a few of the videos and felt like I already knew the story that I was reading. Unfortunately, I felt the writing was somewhat inconsistent from chapter to chapter so I was drawn into some stories more than others. While I’m a huge fan of hearing and reading stories of personal redemption and faith, this book just didn’t quite do it for me. 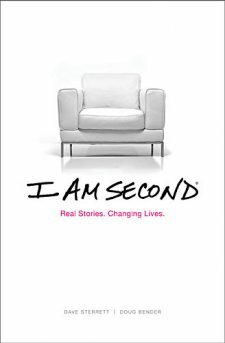 Even though I didn’t really care for the book, I don’t want to take away anything from the great message of I Am Second because I’m definitely a supporter of what they are doing.